I placed my first BIT tag today. I have one in my car, but the one I placed this morning is out there in the wild in the location stated by the GPS coords. It close to home so I can check on it periodically to see how it holds up without a container. It's laminated and hung on a fence with a zip tie along with a laminated Munzee. They usually hold up well as long as the hole you punched for the zip tie didn't go through the paper. 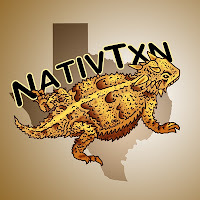 NativTxn wrote: I placed my first BIT tag today. I have one in my car, but the one I placed this morning is out there in the wild in the location stated by the GPS coords. It close to home so I can check on it periodically to see how it holds up without a container. If I'm not mistaken, it's also the first stationary BIT cache in the world. Something you may be able to brag about some day.